Annual West Chester Chili Cookoff Coming Soon! 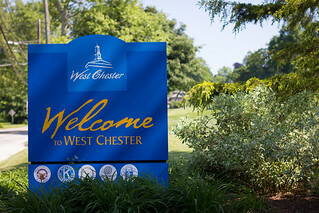 The Rotary Club of West Chester is preparing for the Annual West Chester Chili Cookoff which will take place on October 13, 2013. If you think you make the best chili in town sign up now to enter your chili-cooking team. Several categories are available: business, restaurant, nonprofit, hometown cook/volunteer organization/Rotary Club. The cookoff is also accepting Sponsor and Vendor Applications at this time, for more information visit www.westchesterchilicookoff.com. The Cookoff, which raises money for the Rotary mission of “Service Above Self,” is one of the borough’s most-anticipated annual events and is a terrific day for all who participate and attend! Follow all the fun on the official Facebook page by clicking here!